The Premier believes that his “….Government is working hard every day to deliver real change in South Australia. Change that creates more jobs, lower costs for families and businesses and better government services. We have created a strong foundation and will keep building on what we’ve started, delivering for you, your family and the community.” We will look at his Government’s achievements and challenges, and explore what the next twelve months and beyond will hold. Book a table for Friday 29 March, and book soon, this will be a very popular event. 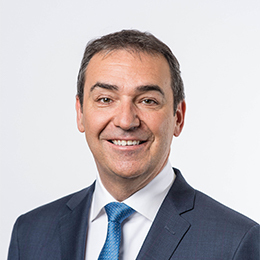 Hon Steven Marshall MP is South Australia’s 46th Premier. He was elected to the South Australian Parliament as the Member for Norwood in 2010, and was re-elected to the seat of Dunstan at the 2014 and 2018 elections. In 2013, Mr Marshall became the Leader of the Liberal Party and the State Opposition. He has responsibility for the portfolios of Defence and Space Industries, Aboriginal Affairs and Reconciliation, the Arts, Veterans’ Affairs and Multicultural Affairs. Mr Marshall graduated from the University of South Australia with a Bachelor of Business, and Durham University with an MBA. MISSED A PAST EVENT OR WANT TO WATCH IT AGAIN!